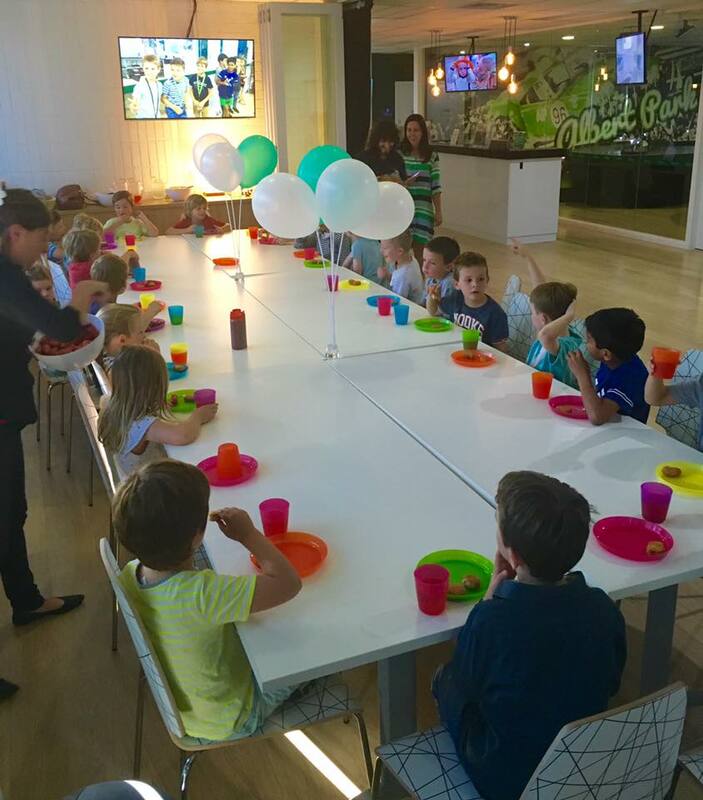 Planning a great birthday party for your primary school age child is a daunting prospect. To help you navigate your way through the do’s and don’ts of kid’s party planning we have come up with a few tips to set you on the right path. The sooner you pin down these details the sooner you can book in your requirements with relevant venues and entertainers. Whether you are designing your own or using ready-made invitations, make sure to provide all of the relevant party information for your guests. Include start and finish times, appropriate traffic or parking directions, as well as any specific clothing, theming or equipment guests may need for the party that is not provided, such as socks for trampolines or closed toe shoes for climbing activities. If food is being supplied be sure to ask for any dietary requirements or similar notes to be observed. For parties at external venues, be sure to set your RSVP date before final numbers are required by the venue. To help follow up on guest numbers and special requirements, try to get as many parents contact numbers as you can. For school friends refer to parent contact lists or speak to the class parent helper. Not only will these help with the party planning, but they will also be handy if there are any mishaps at the party that parents need to be contacted about. #4 You, you and you….. but not you! · Friends vs family: Can both friends and family fit in the same party, or should you consider a separate party for family away from school and sporting team friends? When it is time to hand out the invitations, be sure to follow school guidelines. Speak to teachers to confirm the most appropriate way to hand out the invitations to those invited while letting those who didn’t make the cut down easy. When choosing the entertainment or activity for your party be sure to choose something that is engaging, safe and age appropriate. If you are taking on entertainment duties yourself, plan more activities than you think you will need – better to have more games to play and not use them all than to find yourself halfway through the party with nothing left to do! If using entertainers or an outbound venue, speak to them to ensure that it is right for you. If your party group is younger than the recommended age, don’t book it! While you may feel that your kids are super developed and capable of handling situations better than the average child, entertainers and venues know what works and have age limits set for a reason. Pushing those too young into unsuitable activities will never result in a positive party experience. From modern healthy options to party classics, the kids party food should be quick and easy to eat. When planning your party consider what time kids will need food and what kind. Lunchtime parties will generally require more food than late afternoon parties. If you are expecting parents to stay around for the fun don’t forget to cater for them as well with both food and drinks. The cliché ending to a kid’s birthday party is all guests leaving with a lolly/party bag. While you could always go with the standard lolly mix and sweets, don’t be afraid to think outside of the square. You can substitute some of the lollies with a special book, toy or wearable. For themed events such as a racing party you can give racing team hats or cars for guests to take home. No one can blame the birthday child for wanting to see what presents they have been given, generally the best time and place to do this is at home after the party has ended. Not only can you take time to appreciate both the cards and presents, but you can keep track of who has given what gift and note it down for sending thank you cards or notes. If having the birthday child open presents is important to you, for in home parties plan the time in your party for this, and for venue-based parties talk to the venue prior to the party so that they can adjust the run of events accordingly.